Samsung is one of the most popular electronics manufacturers in the world. They manufacture countless new products every single year, and they have many different product lines. One of these product lines is the Samsung POWERbot robot vacuum series. Today, we’ll be looking at one of the newest robot vacuums from Samsung. Now, the Samsung POWERbot R7070 is an excellent robotvac. It has many amazing features that make your life a lot easier, and you’re vacuuming a lot more efficient. You’re going to learn what those features are, and why this vacuum should be on your radar. So, What Is This Vacuum Going To Do For Me? 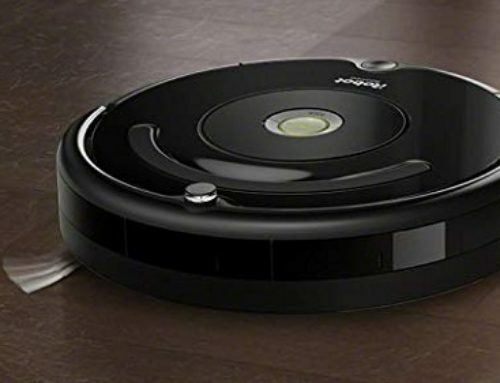 As any robot vacuum aficionado will tell you, in today’s world, if a robot vacuum doesn’t have both smartphone and smart home support, it isn’t very good. Samsung understands that, and the Samsung POWERbot R7070 has Wi-Fi connectivity. You can also use smart home devices that are voice controlled. Devices such as Google Home, Amazon Alexa, and Bixby. Using the smartphone app gives you access to a bunch of different information and a bunch of different features. Naturally, you can turn on the vacuum using your smartphone, beginning the automatic cleaning process. If you want to control the vacuum manually, you can do so as well. Along with that, you can also create custom schedules for it, telling it when to clean and how to clean. Using sensor technology known as “Visionary Mapping Plus” and “FullView Sensor 2.0”, a multi-room map is created, while the vacuum is working. These technologies enable the vacuum to develop the most efficient cleaning paths and to avoid any obstacles. Along with that, however, they give you the ability to go on your smartphone and to see in which rooms and where your vacuum. One of the great things about the sensors in this device is the fact that they can detect the surface that the vacuum is on, and how dirty that surface is. Using that information, the suction power changes, while cleaning, to accommodate the surface and the level of dirt on the surface. If the device is about to run out of battery, the sensors detect that and send a message to the vacuum that tells it to go back to the charging bay. As for the battery life itself, it is 90 minutes in total. However, it will be shorter if you are using the higher suction speeds. According to Samsung, it has 40 times the suction, in comparison to Samsung’s older robot vacuums. This gives you much more flexibility when it comes to the surfaces you are cleaning. The reason why the suction is so strong is that of an element known as “CycloneForce Technology.” Using centrifugal forces, debris and dirt are separated from one another, rather than clogging up the suction system. Many other robot vacuums use a different kind of technology. Technology that leads to clogging, because the dirt and the debris are trapped in the same chamber, while being sucked up, and this quickly leads to big masses being formed. But, with CycloneForce Technology, these big masses are unable to form, which leads to a much more speedy suction system, and a filtration system that isn’t clogged or stuffed. As for the brush itself, it’s wider than most. 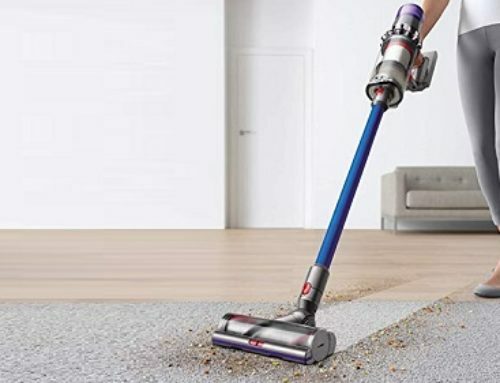 Using rotation, dirt, and debris that has been lodged or trapped in the floor is released, and then the suction, which is across the entirety of the brush, gathers all of it up. You won’t be using just that brush, though. On the side of the unit, there is a small rubber blade that is activated when the sensors detect a wall or some kind of corner. Now, as you may have figured out, robot vacuums aren’t always the easiest to use, when it comes to cleaning walls or corners. A shutter drops down, and the rubber blade is released, allowing the dirt, dust, and debris to be swept off and then sucked into the vacuum. 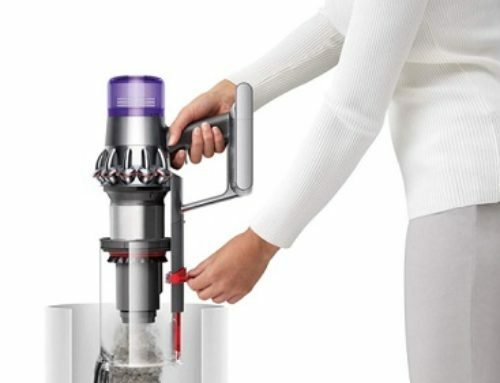 Before we end this section, let’s talk about the flaws of this vacuum. For the price you’re paying, the battery life, while good, isn’t great. Other robot vacuums have similar features and a similar price tag, and they have a much longer battery life. The price itself is also a small flaw, simply because this is an expensive robot vacuum. Very expensive. Samsung is one of the best manufacturers out there, and if you want a quality product that works very well, consists of all of the best features, and aren’t afraid to spend a little extra money, then the Samsung POWERbot R7070 may be the best robot vacuum for you! Well, that’s it for this Samsung POWERbot R7070 Robot Vacuum Review. We hope you found it helpful!